Despite considerable research in the field of atmospheric science, the mechanism of lightning initiation inside thunderstorm clouds is not fully understood. In 2009, DARPA initiated the NIMBUS program, which sought ideas to study lightning processes and obtain a better understanding of the phenomenon. In the past, scientists have flown airplanes with sensors known as electric field mills on board to collect data or released balloons carrying instruments into storms. However, the piloted activity is hazardous and requires expensive customizations to the airplanes, while balloons only allow one pass through the storm without direction control. QFS's concept was to incorporate electric potential sensors and data acquisition units into a small, cheap UAV that would fly into storms on autopilot or guided from a safe location on the ground. The low cost nature of the system means multiple units can fly into one storm for more complete imaging of the processes in a given cloud and the remote nature of the human involvement confines the risk to machinery only. 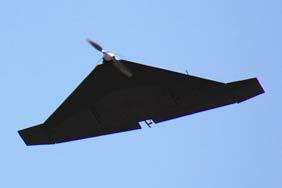 You can watch one of the UAVs flying in inclement weather here. QFS built multiple units of the UAV system and flew them for data collections in storms in New Mexico and at NASA's Kennedy Space Center. 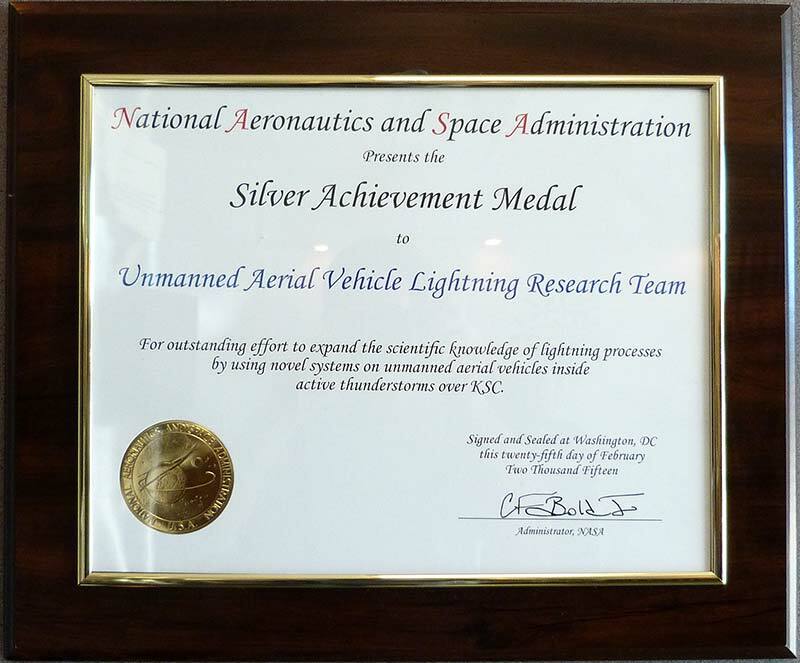 Kennedy Space Center even awarded us a Silver Achievement Medal for being part of its UAV lightning research team! If you'd like to discuss further applications of this system, please contact us.